One of the most immediately-apparent things about Goblin Slayer from the first scene is that it is almost literally just a game of Dungeons & Dragons, but with an animation budget. 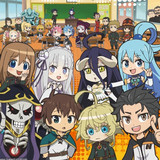 In the first episode alone, a girl goes to the adventuring guild to become a Priestess class adventurer, and meets up with 3 other adventurers: a Monk, a Fighter, and a Wizard. In terms of D&D, this is already a pretty good party composition, and could be the starting point of any normal campaign. It's not just the adventuring structure of the world, either: Goblin Slayer leans into the references. From the dice motif, to the gear people use, to spells lifted right from the pages of the Player's Handbook, seemingly everything has a direct tie to the game. In the first episode, the Wizardcasts Fire Bolt, a common D&D cantrip. In episode 8, Sword Maiden, a spellcaster famous for helping to defeat a Demon Lord, uses Resurrection on Goblin Slayer. 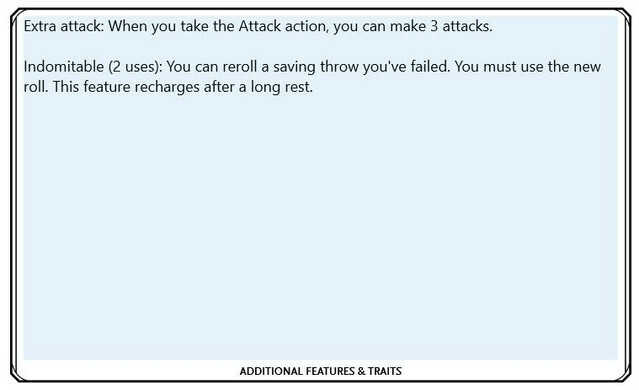 In D&D, Resurrection is a 7th level necromancy, showing how high-level an adventurer she must be. As the story progresses, more and more examples of how much the show is like an actual D&D campaign pile up. If everything else in the show is basically D&D, then what does that make the titular Goblin Slayer? Let's stat him out so you can play your own Goblin Slayer in your next session of tabletop! 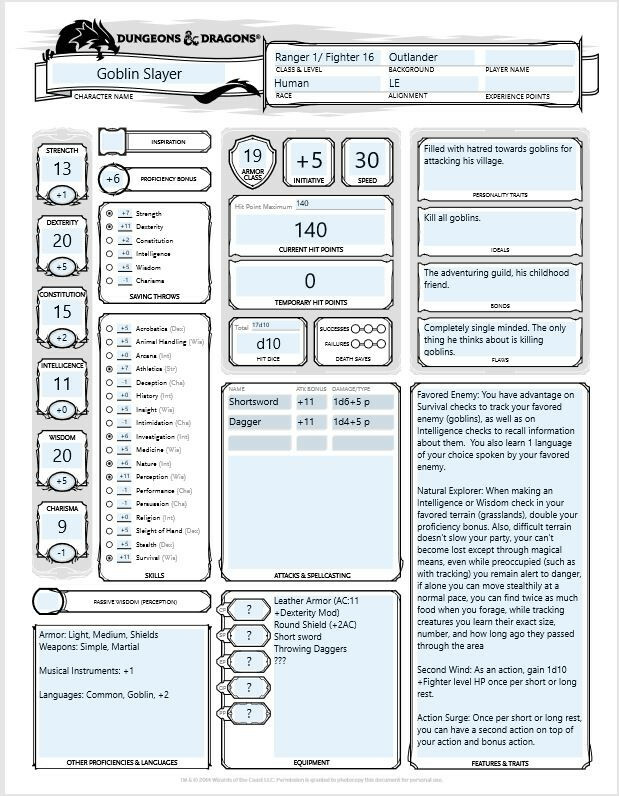 When making a new character in D&D, one of the first things to figure out is their background, class and race. 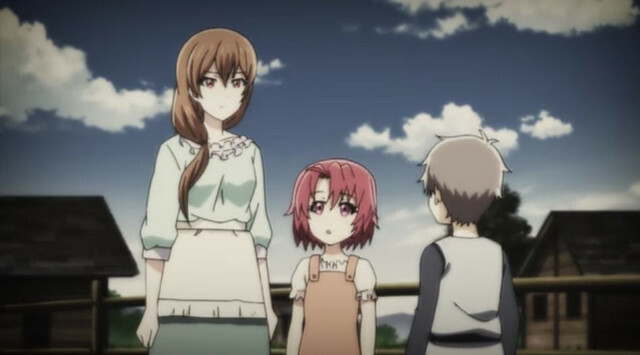 The show makes it extremely apparent that Goblin Slayer is a male human from a rural village. This means that race is easily handled, but background is a bit trickier. 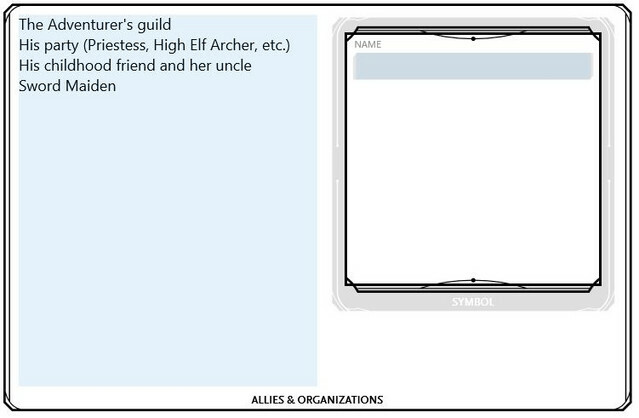 Of the default backgrounds in D&D’s Player’s Handbook, the closest to Goblin Slayer’s actual background is Outlander. It doesn’t quite fit, since Outlanders are supposed to be so far removed from civilization that they might be hunter-gatherers or nomads, but the next closest option is Folk Hero, which doesn’t match up at all, aside from the character being from a rural town. Figuring out what class Goblin Slayer is requires some process of elimination. He has never shown the ability to use magic, so he probably isn’t one of the spellcasters, and due to his weapons and armor, he is unlikely to be a Monk. That leaves Barbarian, Fighter, Ranger, and Rogue as possible class options. He has shown some traits of both Ranger and Fighter, so it is likely that he is a multiclass adventurer with one level in Ranger to get goblins as a favored enemy, and the remaining levels in Fighter for solid general combat ability. 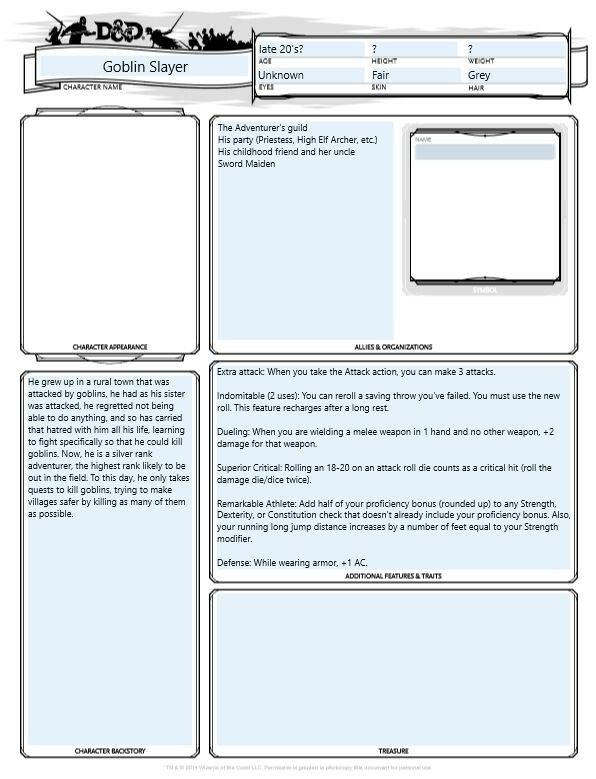 With class, race, and background out of the way, the rest of the character sheet is mostly filling in the blanks and making a few choices from a list of options. For Ability Scores, keep in mind that as a human, Goblin Slayer gets an extra +1 to all his scores. Dexterity, as it both makes him harder to hit and makes his shortsword do more damage due to its Finesse trait, allowing it to deal damage with Dexterity instead of Strength. Wisdom, so that Goblin Slayer can track goblins more easily and see any traps they may have set. Constitution, so that Goblin Slayer can contend with poisons and noxious fumes, and also to give him plenty of HP to work with, so even if a goblin hits him he can shrug it off. 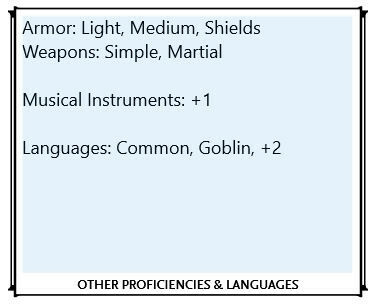 Now to fill in Goblin Slayer’s proficiencies: his Outlander background gives proficiency in Athletics and Survival, while starting as a Ranger gives proficiency in saving throws for Strength and Dexterity, and also gives three skills from a list of available options. Goblin Slayer would have Investigation to be able to see traps and alternate routes in caves, Perception to notice hidden enemies and objects, and Nature to assist with tracking and knowing what local plants and animals may be able to help him. 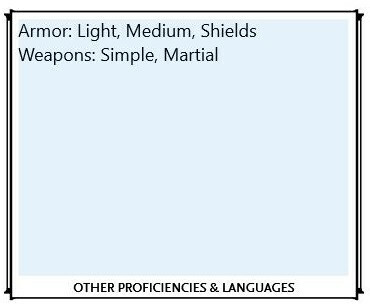 Goblin Slayer starting as a Ranger also gives him proficiency in light and medium armor, shields, simple weapons (like the club we see him use) and martial weapons (like the shortsword he normally uses). With that, the biggest hurdles of the character sheet are finished. His features and traits are dependent on his level. Due to the guild having 10 ranks very closely associated with how strong an adventurer is, while D&D has 20 levels, each rank in the guild is going to correspond to 2 levels in D&D. This means that Goblin Slayer is a level 16 or 17 adventurer. The first level of Ranger grants the Favored Enemy trait. For Goblin Slayer, this essentially means that he can track or recall information about goblins more effectively and can speak goblin. Ranger level 1 also grants the Natural Explorer trait, which grants a few benefits to checks and travel concerning a specific terrain, like grasslands or mountains. Since Goblin Slayer has not shown a specific preference for one type of terrain over another, D&D Goblin Slayer is going to have grasslands as a favored terrain because that appears to be similar to where he grew up. At Fighter level 1, Goblin Slayer can choose a specific fighting style. 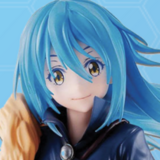 Because he generally works alone and using a one-handed melee weapon, the most likely option would be the Dueling fighting style, which grants extra damage for his setup. 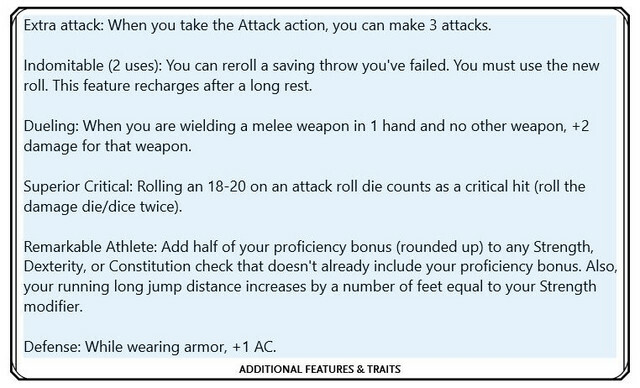 A second fighting style, which would likely be Defense, which gives +1 Armor Class when wearing armor, making Goblin Slayer even more difficult to damage. The only remaining bits are equipment, personality and other proficiencies. The proficiencies are by far the easiest, since they are given by the class, race and background from before. In total, Goblin Slayer has proficiencies in one musical instrument, and two languages of his choice along with Common. These are completely up to the player, since in the show we have never seen Goblin Slayer speak another language or play a musical instrument. 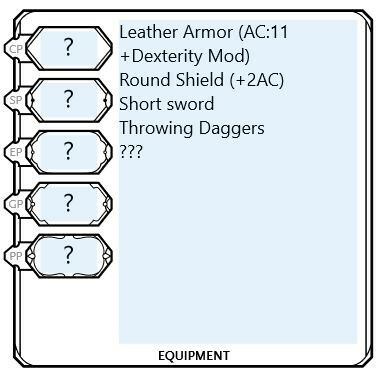 As for Goblin Slayer’s equipment, all we can write down is a shortsword, leather armor, commoner’s clothes, round shield and some throwing daggers. We’ve seen him with a torch, and he has other equipment around his belt, but we never see his entire inventory and treasure laid out to count. Likewise, we do not know exactly how much money he has, only that it is enough to cover expenses like rent, armor repair, and seemingly anything else he might need on a day-to-day basis. Finally, there is personality. Luckily, by premise of the story, Goblin Slayer is a pretty easy character to get a read on what he wants and why. What is his ideal? To rid the world of every single goblin. What is his flaw? He is socially ignorant and so focused on his goal that he doesn’t really converse with anyone, or even know how to. His bond? 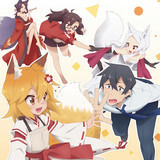 This one is actually difficult, since it is hard to tell if he is actually bonding to anyone, but it is likely the guild, since it is where he goes to find goblin-slaying work. With all that in mind, what is his alignment? Likely Lawful Evil. He takes perfectly legal jobs, but he carries them out ruthlessly and brutally. The remainder of the first page is simply filling in the blanks with basic calculations. With leather armor, 20 Dexterity, the Defensive fighting style and a shield, Goblin Slayer’s Armor Class is 19. His initiative is +5 because of his Dexterity modifier, his speed is 30. HP is a touch more involved, because it is calculated per level. By level 17, Goblin Slayer should have approximately 140HP, depending on various player factors. 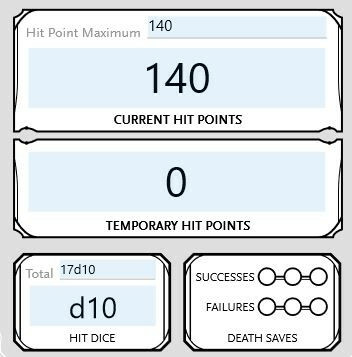 Hit Dice are 17d10 due to all of Goblin Slayer’s levels using d10’s for HP and gaining 1d10 Hit Dice per level. That’s it for page 1! If that seemed extremely tedious and intensive, it’s okay. Page 2 takes much less time, and since Goblin Slayer doesn’t use magic, it’s also the last page. 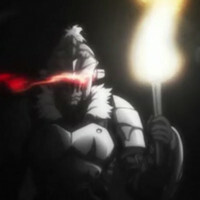 Episode 8 gave an entire scene of adult Goblin Slayer out of his armor, so we know at least a bit about what he looks like. Fair skin, grey hair, maybe late 20s? Height and weight are trickier, so we are going to leave them blank since they don’t factor in to the mechanics of the game and the player can roleplay Goblin Slayer without needing to know exactly how much he weighs. Allies and Organizations is surprisingly easy, since Goblin Slayer only really interacts with the people he is allied with. The party, the guild, his childhood friend. And with that, we have proven that yes, Goblin Slayer can be turned in to a D&D character with little effort. 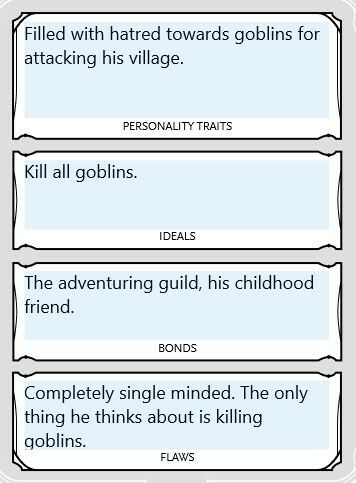 From his simplistic-but-driven personality to his single-minded drive to kill all goblins, almost everything about him correlates to some kind of skill or ability in the game, and those that don't fit right in as quirks for more fun while roleplaying. Are there any other characters you would like to see statted out? Are there any other game systems that Goblin Slayer can slip into as easily? If you're making a Goblin Slayer for your own game, did your decisions differ? Let us know in the comments below! Kevin is a freelance features writer for Crunchyroll. 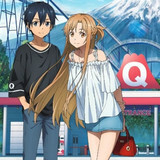 He's been watching anime for as long as he can remember, and his favorite shows tend to be shonen and other action series.